Adam Cook, center, was sworn in as a new board member during the Fulton County Board of Developmental Disabilities meeting held Oct. 16. He was welcomed by Board President Mike Oricko, right, and Superintendent Beth Friess. Cook joins four members appointed by the Fulton County Commissioners, as well as two members appointed by the Fulton County Probate Judge. 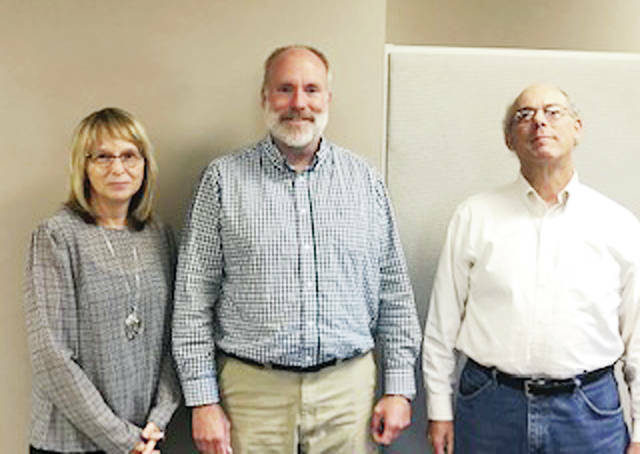 https://www.fcnews.org/wp-content/uploads/sites/45/2018/11/web1_new-board-member.jpgAdam Cook, center, was sworn in as a new board member during the Fulton County Board of Developmental Disabilities meeting held Oct. 16. He was welcomed by Board President Mike Oricko, right, and Superintendent Beth Friess. Cook joins four members appointed by the Fulton County Commissioners, as well as two members appointed by the Fulton County Probate Judge.